It was summer 1999, and a meeting between the leadership of the Bonanno and Colombo crime families was under way in an apartment off Third Avenue, in Fort Hamilton, Brooklyn. 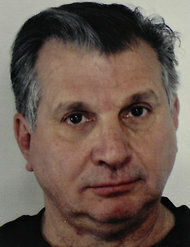 Salvatore Vitale, who testified for the prosecution on Tuesday. But something was amiss: the seat that should have been taken by William Cutolo Sr., a Colombo underboss, was empty, a former Bonanno underboss testified on Tuesday. Mr. Vitale, then the underboss of the Bonanno crime family, said he immediately knew what that meant. “I realized then that Wild Bill was dead,” said Mr. Vitale, invoking the nickname of Mr. Cutolo, one of six people whose killings are at the heart of the prosecution of Thomas Gioeli, who prosecutors believe is a former acting boss of the Colombo crime family, and Dino Saracino, who they allege was one of his hit men. The trial of the two men, charged with murder and racketeering, began on Monday. At one point, Mr. Vitale was invited off the witness stand to outline the organizational structure of a typical crime family, presented on a large poster board as if it were a boardroom breakdown of a white-collar company. But Mr. Vitale spoke of a criminal hierarchy: the robberies, the loan-sharking, the “hijacking” of trucks carrying “tuna fish, lobster, clothes,” and the homicides. He offered what amounted to a list of commandments for anyone hoping to succeed and survive in organized crime. “The dos are, ‘Do what you’re told, and you’ll be fine,’ ” he said, underscoring the vital importance of the chain of command in the Bonanno and other crime families. The chain of command, he emphasized, was essential, especially when murder was involved.